REZZ, real name Isabelle Rezazadeh, had a steady stream of hype built up about her plans to remix Porter Robinson‘s “Divinity.” The Canadian DJ debuted her remix at New City Gas, a live venue in Montreal, and fans have been clamoring for the studio recording since. Just a few hours ago, she delivered. Porter’s original mix of “Divinity” is a hit in it’s own right, with over 14 million plays on YouTube. It’s a six minute slow burn of a song that eventually climaxes in a resplendent outro ripe for dancefloor catharsis. Amy Millan’s voice punctuates the affair while heaving synths accompany her. 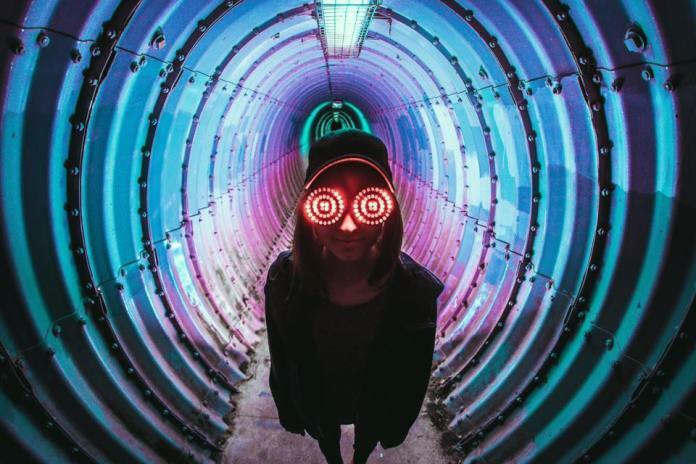 REZZ’s own mix comes in at just over three, but condenses “Divinity” into a remarkably tight mix while introducing her distinctive flavors. She released the track through Proximity Records. “Divinity” sees REZZ playing with two contrasting sonic ideas: a staccato verse, accented with Millan’s vocals but primarily focusing on REZZ’s production wizardry, and a mournful, legato chorus, where the focus swaps. We hear Millan’s vocals in the foreground while deep, throbbing chords fill out the rest of the mix. In all my searching I couldn’t find a live performance where we get the massive outro of Porter’s original. This was a bit of a disappointment to me at first. But instead, REZZ mixes “Divinity” seamlessly into her own set. It serves as an accent to her originals as well as a crowd pleaser, so ultimately I thought her decision worked well.